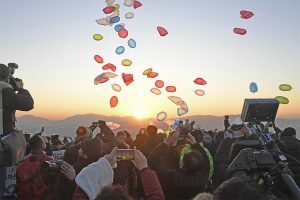 SEOUL, SOUTH KOREA, February 19, 2019 – Celebrating the 100th anniversary of the March First Independence Movement (hereinafter the “Movement”), the fight against Japanese colonial rule, an overwhelming moment of that day will be appeared once again in Seoul. Also, commemorative spaces are to open to the public so that people are allowed to remember the painful history of the country and the spirit of the Movement. Above all, the Samil-daero area covering from Anguk Station to Jongno 2-ga, the birthplace of the Movement; the site where the Declaration of Independence was distributed and stored (currently the one in the front of Suun Hall); the Cheondogyo Central Temple where was used as a main gathering place by independence activists after the Movement; and the Stairs of 100 Years where the Declaration of Independence is inscribed will be opened at Anguk Station in March this year. On upcoming March 1, the commemorate ceremony of the 100th anniversary of the Movement and a procession are scheduled to take place in the Sejong-daero area, downtown Seoul, to revive cries of joy the Korean people altogether shout out 100 years ago. In addition, there will be various exhibitions, performances and history lectures that citizens are able to enjoy and participate. They explore forgotten or hidden modern and contemporary history of Korea. Among them, meaningful exhibitions include the special exhibition on historical records about Japanese military sexual slavery, which will provide an opportunity to think about sufferings caused by loss of sovereignty and human rights issues; and the exhibition that showcases independence movements made by five Canadians, including Frank Scofield, a missionary who let the world aware of the Movement. A commemorative concert by the Seoul Philharmonic Orchestra and “Yu Gwan-sun Opera Cantata,” a special opera that will be performed by the Seoul Metropolitan Chorus and citizens to pay Korean people’s respects to Yu Gwan-sun, an independence activist who took an active part in the Movement and died in prison at the age of 17. The 100th anniversary project of the Movement in 2019 marks not only the completion of the commemorative project that has been carried out for the last three years but also the beginning of the next 100 years. 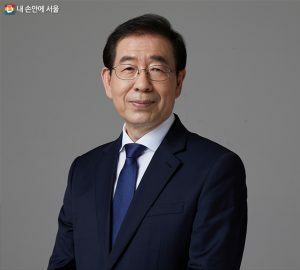 Three key words for this year’s project are “empathy” for the past 100 years (spreading the consensus on the 100th anniversary of the Movement); “memory” (building up and utilizing commemorative spaces); and “reflection” (knowing the history of Korea right), with which a total of thirty sub-programs will be implemented. · 100th Commemorative Ceremony (1pm, March 1, Seoul Plaza and its vicinity) is the main event to celebrate the 100th anniversary of the Movement, consisting of a “Manse” (“Long live Korean independence”) procession and the citizens’ chorus performance. Separate ceremonies and cultural events will be held in each of twenty autonomous districts. · Memorial Exhibition for Independence Activists “Waiting for Flowers” (March 2 to 8, Seoul Plaza) provides citizens a chance to pay their respects to the patriotic martyrs for the country by setting up signs of 15,000 independence fighters. 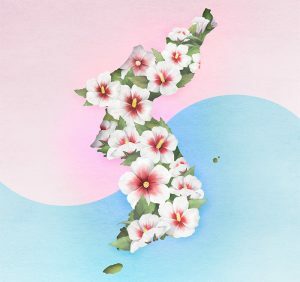 · Cultural Events: The Seoul Philharmonic Orchestra will play “Auld Lang Syne,” the national anthem of the Provisional Government of Korea in Shanghai, and “Ahn Jung-geun Okjunga” at a commemorative concert that will be held at S Theater of the Sejong Center for the Performing Arts on March 2nd. “Yu Gwan-sun Opera Cantata” will be performed by the Seoul Metropolitan Chorus and citizens. Various street performances of Gugak (Korean traditional music), jazz and instrumental music will be held on Taehwagwan-gil (February 26 to March 5). · Commemorative Exhibitions: Special exhibition “March First Independence Movement in Seoul and Pyeongyang” (March 1 to May 26, Seoul Museum of History) will display historic relics and video clips to demonstrate the background and development process of the Movement, and a contemporary art exhibition participated by artists from South Africa, Taiwan, Turkey, and Vietnam that examines the Movement in terms of the world’s history. · “March First Declaration of Independence Square” at the site of Taehwagwan Restaurant (to be opened on August 15): The site of Taehwagwan Restaurant, where representative independence fighters gathered to read the Declaration of Independence on March 1, 1919, will become a main memorial space with the spirit of the Movement. Only the signage saying the “Site where the Declaration of Independence was read on March 1, 1919” has told the history. The Seoul Metropolitan Government has discussed with the Taehwa Welfare Foundation and the Jongno-gu Autonomous Office to transform it into a historic independence space. The construction will be initiated in March and completed on August, 15 which is the Independence Day of Korea. · Citizen’s Spaces in the Samil-daero area: A total of five spaces for citizens were created in the Samil-daero area where the Movement began, centering on the site of the site where the Declaration of Independence was distributed and stored and the Cheondogyo Central Temple. · The Stairs of 100 Years at Anguk Station: The Stairs of 100 Years where the Declaration of Independence is inscribed will be opened at Anguk Station in March. The Seoul Metropolitan Government covered the subway station’s platform and waiting area with photos and words of independence activists; set up a tribute sculpture; and installed a canopy at the exit 4, which symbolizes the plaster gate of the Provisional Government of Korea. · Restoration of Dilkusha: Dilkusha (the Hindi word for “Heart’s Delight”), the house of Albert Taylor, an American part-time journalist, who happened to find copies of the Korean Declaration of Independence and broke the news of the Movement and the revolt and the bloody crackdown by Japanese troops to the outside world, is currently being restored and is expected to be completed in 2020. With an opening event on upcoming March 1 (2pm – 4pm), the house will be used as a cultural space where highlights the achievements of Albert Taylor and other foreign independence activists. · Exhibition of records of Japanese military’s wartime sexual slavery (February 25 to March 20, Seoul Center for Architecture & Urbanism): The exhibition will show the historical truth about the comfort women of the Japanese military, displaying the sufferings and damages of that time through various domestic and international historic records. The Seoul Metropolitan Government plans to open a digital archive about wartime sexual slavery in last March to help people understand the history of the comfort women correctly and to contribute regaining honors of the victims. · March First Independence Movement and Canadians (February 23 to March 31, City Gallery at Citizens’ Hall): A commemorative exhibition that features five Canadians, including Dr. Frank Scofield, known as Seok Ho-pil in his Korean name, who let the world know about the spirit of the Movement and the massacre occurred in Jeam-ri, a small village in Hwaseong-si, Gyeonggi-do Province. · Exhibitions: Diverse exhibitions will be held throughout the year, including the educational exhibition that displays a C-47 carrier that had carried independence activists and provisional government officials during the Japanese occupation; the exhibition “The Battleship Island – Gunkanjima” that shows painful history of Korean forced laborers (August); and the commemorative exhibition that introduces Ginong Jeong Se-kwon who protected Korean traditional houses “Hanok” in Bukchon Hanok Village (April to May). · Educational Lecture and Academic Symposium: The Continuing Education Center at University of Seoul opens a feature lecture in March on Korea’s 100 years of history of the Movement and the Provincial Government, and modern history of Korea. An academic symposium that looks back at the achievements and meaning of the Provincial Government in April when celebrates the 100th anniversary of the foundation of the Provincial Government of Korea.